The Titchmarsh & Goodwin sale is now on and we have some spectacular offers for you! We have 50 per cent off most pieces, with the odd item discounted more heavily. 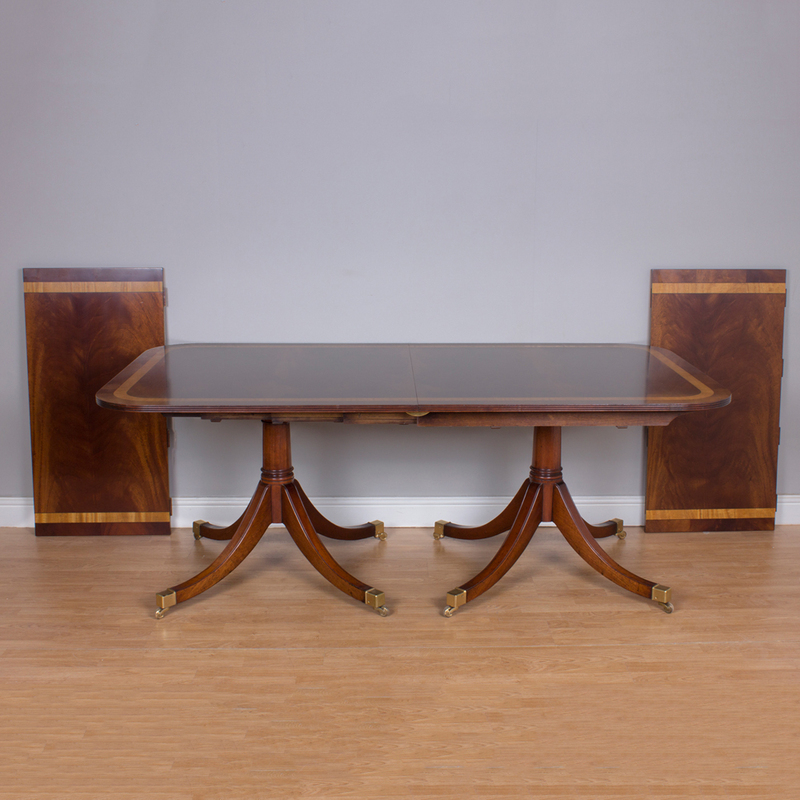 Star of our sale is this fine mahogany and satinwood dining table, extendable with its two leaves to 305cm/10 ft and a neat 198cm/78 in. It’s an ex-display piece, it’s an absolute bargain at £4,000 instead of the usual £13,500. 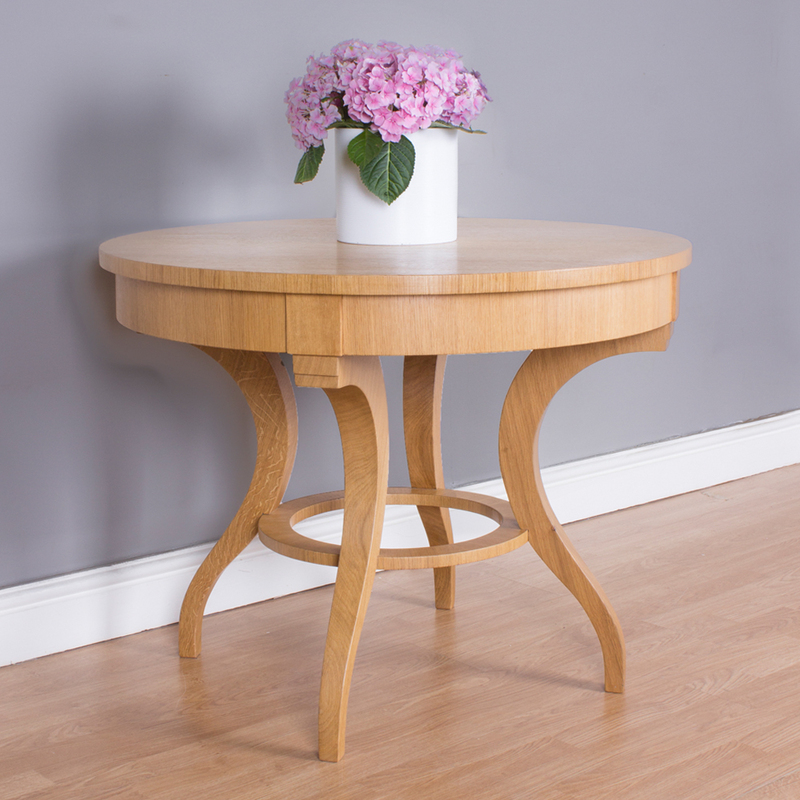 We also have plenty of one-off pieces such as this natural oak occasional table with its elegant legs – a useful piece for lamps, plants and flowers and reduced from £3,306 to £1,500. 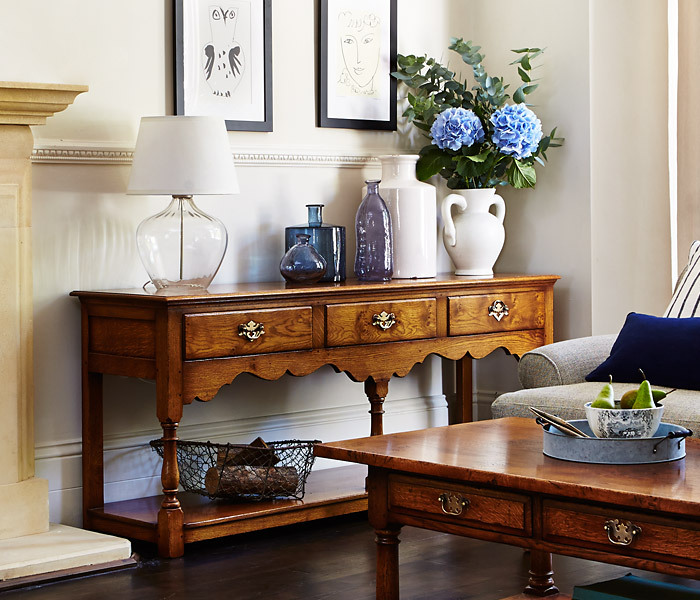 And if you don’t see anything that you want from our offers page, the good news is that we are offering 25 per cent discount on all of our regular stock until the end of July*, so from our Home Page, our lovely English oak coffee table (RL23979) is £1,538 instead of £2,050) and our English oak dresser base (RL36U), costs £2,194 instead of our standard retail price of £2,925.